Last year, I bought a red shag area rug for our living room. Shortly after rolling it out onto our living room floor I experienced the wrath of the shag rug...it sheds! Red fuzz can now be seen rolling down the hallway like tumble weeds. It accumulates in the corners of the house and even transfers itself on to other area rugs throughout the house. The worst is when it adheres itself to your socks, pants, shirt and even your hair. My family and I walk around with red fuzz on us, and sometimes our house guest take souvenirs of red fuzz home with them. 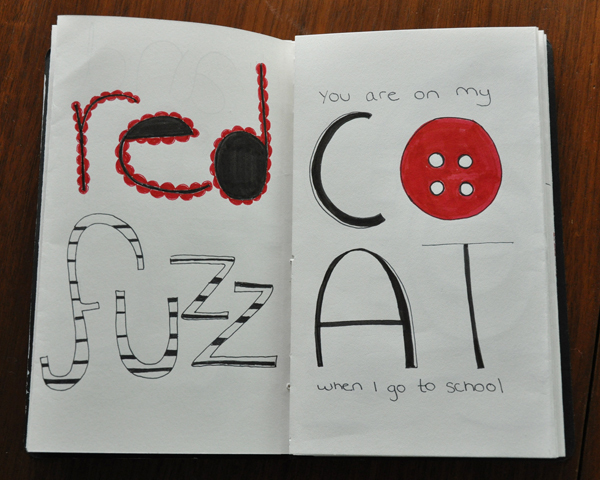 After finding red fuzz one morning in my coffee it prompt me to write and illustrate this little poem called Red Fuzz. On Monday I submitted it to the Art House Co-op’s Fiction Project, under the theme Adhere to me. 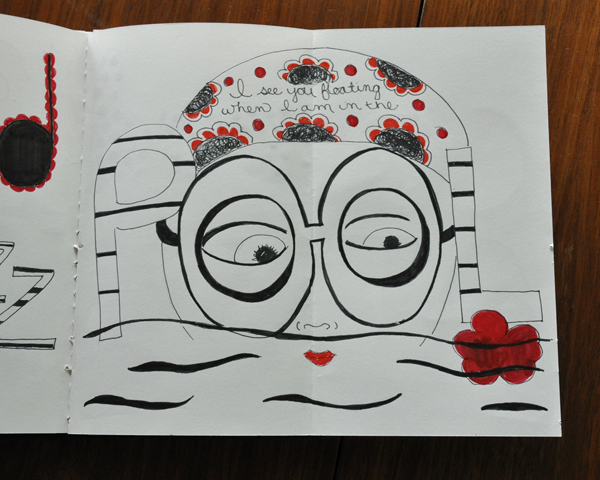 I am hoping it makes it to New York in time to go on the last leg of the West Coast Tour of the 2011 Sketchbook Project. If not it will be sitting at the Brooklyn Art Library in the narrative collection. Which reminds me next month the Sketchbook Tour comes to San Francisco!